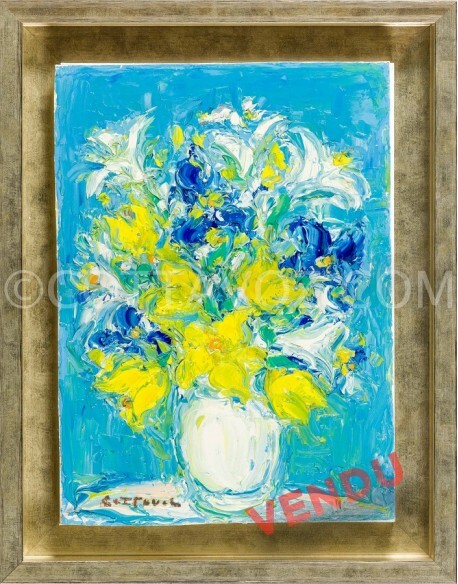 Oils on canvas There are 7 works. 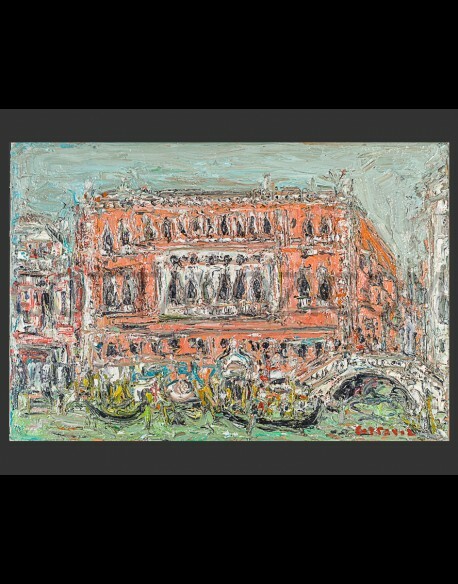 CONTACT US - PRICE ON REQUEST.André Cottavoz.Palace in Venice.Oil on canvas - undated - signed. 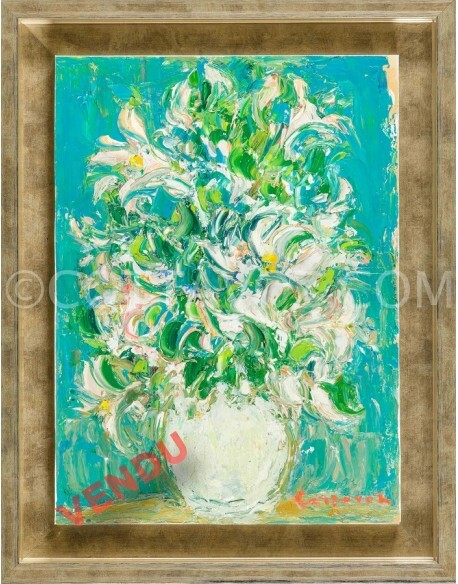 UNAVAILABLE.André Cottavoz.Green bouquet.Oil on paper - undated - signed. 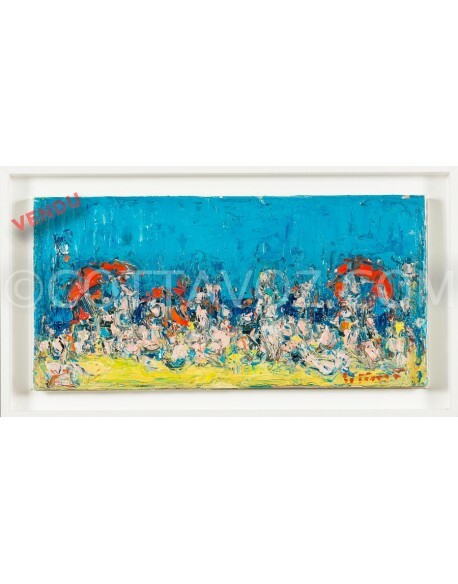 UNAVAILABLE.André Cottavoz.Beach with red umbrellas.Oil on paperboard - undated - signed, signed on the back. 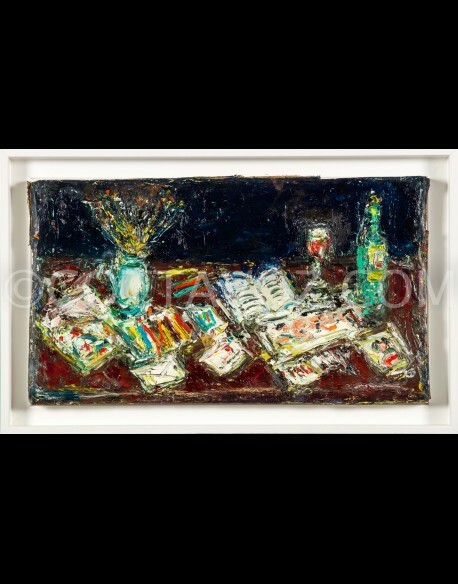 André Cottavoz.The Studio.Oil on paperboard - undated - signed, signed on the back. 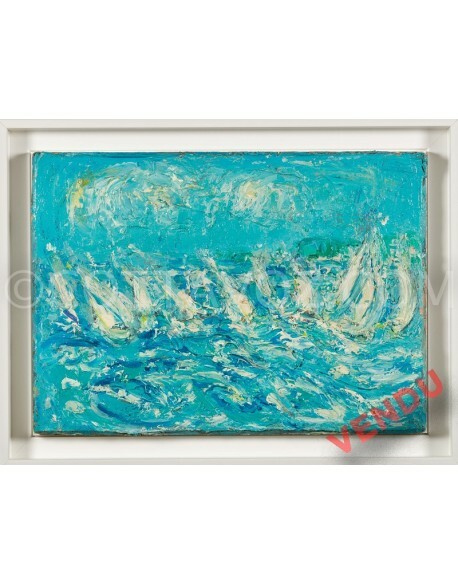 UNAVAILABLE.André Cottavoz.Regatta.Oil on paperboard - undated - signed, signed on the back. 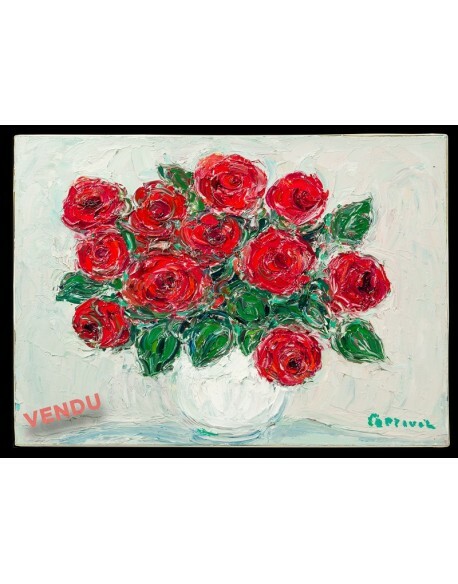 UNAVAILABLE.André Cottavoz.Bouquet of red roses.Oil on canvas - undated - signed, signed on the back.